As part of Save The Waves’ new strategy of developing Surf Protected Area Networks, we kicked off 2019 with travel in order to work with our partners in both Chile and Indonesia. SPANs is a completely new approach to conservation that combines legal protection of marine ecosystems and sustainable community development in areas where high quality surfing waves and priority marine ecosystems overlap. These networks will also protect the environmental, economic and social value of surfing waves. SPANs consist of individual sites that are protected and managed under the legal system of the country where there are developed. 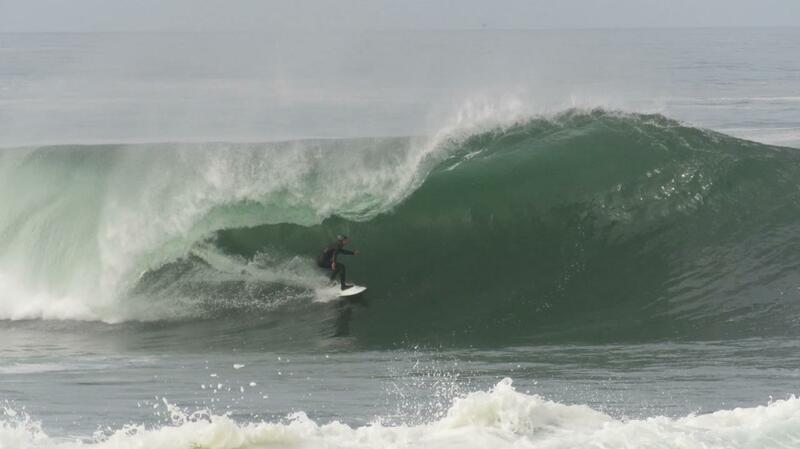 As the Executive Director of Save The Waves, I travelled to Chile to visit partners and plan for the upcoming year. STW and Fundación Rompientes, along with support from Packard Foundation and the Peruvian Sociedad Peruana por El Derecho Medioambiental, are pursuing a strategy to create a network of linked protected areas throughout the country. Save The Waves is supporting the work of Fundación Rompientes to create the first networked area through a pilot project of a Natural Sanctuary in the sixth region of Chile. As we drove the dusty back roads toward the coast, and wound through the forest, several small creeks cut through the landscape. Pulling over the last hill revealed a long winding wetland to a triangular shaped rock with a perfect left pealing from the behind the rock to the beach. After meeting the local fishing community, it was clear that the work of Fundación Rompientes was well respected and necessary for protecting access and the local fishery, in addition to surf resources. The proposed zone includes six waves, as well as wetlands and a robust local fishery of seaweed collection and shellfish harvesting. Save The Waves will also be working with partners to create a larger campaign connecting various initiatives protecting surf ecosystems. On the other side of the globe, Save The Waves and our partners at Conservation International and A Liquid Future launched our preliminary pilot Surf Protected Area Network Planning in North Maluku province. After four flights from North America, we arrived on the tiny island fringed by primary forest and healthy, vibrant reefs. At first arrival, we were greeted by Lizzie Murray from A Liquid Future and several of the local surfers. Despite the long trip, we hopped in the water directly. 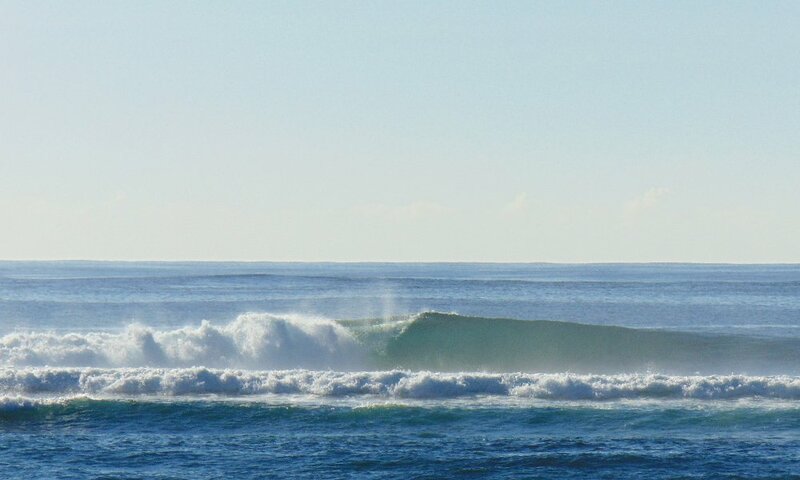 A fun left peeled off of a slabby reef into a channel, surrounded by—well—nothing. It is rare to have such a surf rich coast with no development at all. This was just one of many points, reefs, rivermouth and beach breaks that line the island’s Northeastern sides. Despite the lack of surf development, there was a burgeoning local surf scene. Each time we paddled out we were joined by local surfers. 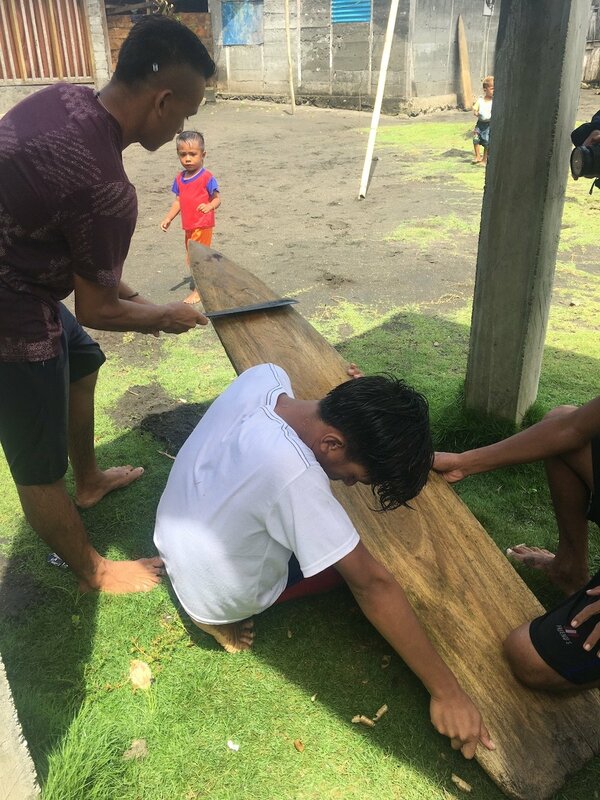 In many of the locations we visited, younger surfers make their own wooden alaia boards, each individually shaped by the surfer. 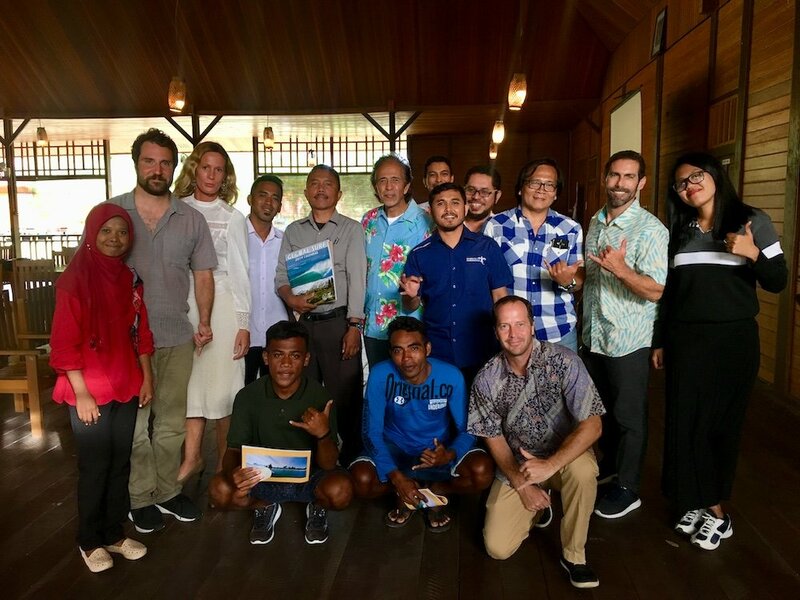 The local surfers,and local government officials were very enthusiastic about the idea of protecting their waves for the long term while exploring ways to develop sustainably. Using a combination of village and district decrees, the two protected zones will contain 33 plus waves and over 50,000 hectares of forest, coast and reef. Furthermore, the areas will offer economic development activities to the local villages so that the conservation of the area has tangible benefits for the local people. Help Save The Waves launch our new program Surf Protected Area Networks! Each donation gives us the opportunity to expand our efforts for conservation and protect surf ecosystems worldwide.